Ranking the top 10 male athletes from the past 30 years. When you think Catholic League, you think the Crusaders. The baby blue uniforms seem to glisten in every sport, you have “Here’s to the Crusaders” fight song, and their fans are among the best in every sport. But the cool thing about the Father Judge High School athletic program is how consistent the teams are. Judge didn’t have a lot of athletes during the past 30 seasons who went on to play professionally, but there are at least 40 Crusaders who could be on this list. Judge was very consistent across the board, winning championships in soccer, wrestling, basketball and baseball. While the football team hasn’t won a title in the past 30 years, the Crusaders are annually one of the best teams in the Catholic League and are usually in contention for a spot in the championship game. To do these lists, we start with a list of guys who could be in consideration, and then, after talking with fans, coaches and alumni, we do our best to come up with a final 10. The Judge list has changed more than any school thus far, so if there’s a quality name or two missing, trust us, they were considered. The players, who include graduates from 1987 to 2017, are judged by what they accomplished at the school, as well as what they’ve done in sports since they graduated. The most recent graduating class is behind the eight ball because there is no “beyond high school” career to talk about. Marc Rodriguez, the all-time leading scorer in Judge basketball history, didn’t make the list because his resume wasn’t strong enough because it included only high school. There’s a strong possibility he will when he hangs up his shoes, but for now, he isn’t on the list. 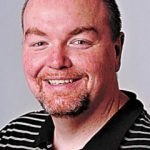 And again, a huge thank you to Tedsilary.com, the high school sports site, for sharing statistics and other historical information. This 1994 graduate would have had a strong case for making this list by what he did as an infielder. He was the MVP of the Catholic League Northern Division during his senior season and led the Crusaders to the PCL semifinals. He went on to play at Philadelphia University, where he hit .542 during his senior year and was ABCA/Rawlings first-team All-American as a senior in 1998. That success put him on the radar of Major League Baseball scouts. His bat got him to the pros, but his arm kept him there. 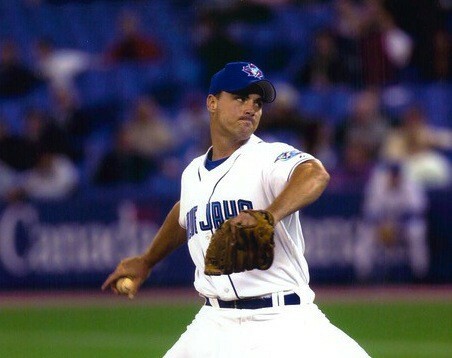 File moved from the infield to the mound when he got to the pro ranks, eventually making it to the big leagues in 2001 with the Toronto Blue Jays. He played three years with Toronto, compiling a 6–4 record before an injury forced him to call it quits. A 2014 graduate, Galasso put Philadelphia wrestling on the map. While the city has had plenty of wrestlers who could compete at the state level, Galasso became the first Philly wrestler to win a state championship when he turned the trick as a junior. That was his best year, but it wasn’t his only standout campaign. He finished runner-up as a senior, fifth in his sophomore season, and as a freshman, while at Malvern Prep, he took fourth at the National Prep Championships. He earned a scholarship to Cornell, a Division I wrestling program, and despite battling injuries, including coming back from being stabbed at the end of his senior year at Judge, he’s excelling at the college level. He’ll begin prepping for his junior campaign later this summer. The Father Judge soccer program has been one of the best in recent years. Year after year, it’s safe to pencil the Crusaders into the Catholic League semifinals, and they’ve been to their share of finals over the years, a tradition that dates back decades. But after Judge won the 1976 Catholic League crown, the school went 30 years without taking home the plaque. That changed in 2007, and this 2008 grad was the primary reason. Maminski started as a freshman, made first team All-Catholic three times, and in his senior year, he scored a goal in the Crusaders’ 2–1 overtime victory over Archbishop Ryan and was named the Catholic League MVP. He also won a state championship and became the all-time leading scorer in Judge history. Since 2007, Judge has won three Catholic League championships, and Maminski is the one who got the ball rolling. He also excelled after Judge. Maminski played college soccer at Lafayette, where he was a starter, and every season he made the Patriot League Academic Honor Roll. This 1987 graduate had an incredible run during his senior season that helped the Crusaders win a Catholic League crown, which was his second baseball title — he also won as a sophomore. He allowed just one earned run with 22 strikeouts and a 3–0 record as the Crusaders rolled to the championship. In the only playoff game during that run, Gies didn’t earn the win, he recorded a save. Overall, he finished 8–3 with a 1.31 earned run average. His senior year helped earn him a scholarship to Temple University, and he eventually ended his collegiate career at Seminole State College of Florida. After his college days, he was drafted by the Texas Rangers, and he spent four seasons in the club’s minor league system. During his time as the football coach, Tom Coyle always had quarterbacks who could put up huge numbers. This 2004 grad may have been his best. Despite missing three games during his senior year, one because of an injury and two because of a teacher strike, Curry threw for nearly 1,900 yards and 15 touchdowns. This isn’t bad, considering football was his “other” sport. Curry’s game was baseball, and at Judge, he was a strong-armed catcher who was the unquestioned leader on a young Crusader squad, and as a senior, he hit over .500. After playing at Judge, he attended juco powerhouse Gloucester County College, and after two successful seasons, he went to Alvernia. In his senior year, he hit .424 and was named Mid-Atlantic Player of the Year by the National College Baseball Writers Association. Curry went on to play independent baseball for the River City Rascals in the Frontier League. If Maminski was the guy who helped put Judge soccer back on the map, this 2014 graduate was the guy who made sure it stayed there. A four-year starter, Hansen was twice an All-State selection, and during his junior and senior seasons, was a first team All-Catholic choice. Hansen, a forward, helped Judge reach the Catholic League title game in his final three years at the school, culminating with a PCL championship in his final season. Hansen went on to play at La Salle, and he’s enjoying a successful career. After seeing sporadic time as a freshman, Hansen has been a starter the past two seasons, and last year was just one of two Explorers to start every game. This year, Hansen heads into his senior year. This 1997 graduate was one of the best players on the Crusaders team that won a Catholic League basketball championship. Jim Reeves may have been the most dominant player, but Dufner actually led the team in scoring during the playoff run that ended with a win over O’Hara in the title tilt. But Dufner makes this list because of his stellar baseball career. The Catholic League MVP as an infielder hit close to .400 during his senior campaign with nine doubles and two home runs. In both his junior and senior seasons, he guided the Crusaders to the Catholic League finals, but they came up short both times. Dufner went on to have a quality career at the University of Delaware, and then played low-level minor league baseball for four seasons, seeing time in the infield and as a relief pitcher. A 2011 graduate, Smalley made big plays throughout his high school career, starring on the track and football teams. In track, Smalley was All-Catholic in a ridiculous five events, including the 100 meters, the 200, the long jump, triple jump and 4×100 relay team during the spring. His other nominations were during the indoor season. He also broke four school records during his track days. His other sport was football, and he was just as good. He rushed for nearly 1,000 yards and 17 touchdowns during his senior season, while also cashing in twice on passes and one each on kickoff and punt returns. He went on to play at Lafayette, where he grinded his way to becoming one of the best defensive backs in the Patriot League. Smalley’s tenacity on special teams earned him a shot with the New York Giants, signing a three-year deal after excelling at rookie camp. After getting released by the Giants, he moved on to the Canadian Football League, and is currently on the Winnipeg Blue Bombers. Some players have a strong arm. Others have a strong leg. This 1997 graduate had both, and that’s why he’s on the list. McGerry had a strong season punting the ball, especially as a senior when he was first team All-City. He also had a leg up on his baseball competition. A pitcher, McGerry was a strong pitcher at Judge, and because of that he got drafted by the San Francisco Giants in the fourth round of the MLB draft. He also got a scholarship to St. John’s University and decided to not sign with the Giants. He impressed at St. John’s. After his junior season, when he went 20–8 with a 3.49 ERA, he was drafted again by the Oakland Athletics. Finally, he spent three seasons in the minors. A 1993 graduate, Shenko was a three-sport star, something that is almost unheard of in today’s era. In fact, it was almost unheard of in 1993, but Shenko was a key player on the football, basketball and baseball teams. During his senior year, Shenko started at quarterback for a Crusader team that lost in the Northern Division finals to a very strong Ryan team. He also was an All-Catholic selection that season. He also excelled at basketball. As a junior, Shenko was a reserve on the Judge team that fell to Cardinal Dougherty in the Northern Division final. He followed that up with a senior season that saw him start and score about eight points per game.